Did you know academic learning is estimated to be 80% visual, yet vision screenings, which do not diagnose eye and vision problems, are recommended or required across the nation? In 2000, Kentucky became the first state to require an eye exam by an optometrist or ophthalmologist for all children entering a public school for the first time. In 2003, Illinois became the first state to require written notification before a vision screening is conducted with the passage of "Amy's Law." Support the choice of an eye exam by an eye doctor in place of a vision screening. Support legislation requiring an eye examination by optometrist or ophthalmologist for all children entering kindergarten (or first grade) as a necessary prerequisite to academic learning. Urge your state optometric licensing board (state board) to require a minimum of two hours per year of functional vision and learning related care as part of the CE requirements (continuing education) for each optometric renewal period. Currently, only the optometrists who are members of the College of Optometrists in Vision Development (COVD) are required to complete continuing education in functional vision and learning related care. Although ophthalmologists are exempt from any optometric CE requirements, Vision First recommends that all ophthalmologists, whose practice involves children, register for these same courses. The resolution Importance of Comprehensive Eye and Vision Examinations needs your support. 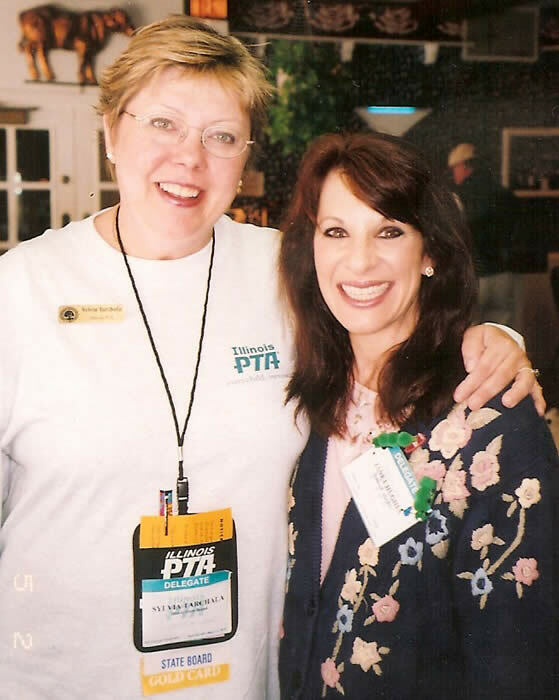 Sylvia Tarchala, Illinois PTA cultural arts chairman, and Vision First President Janet Hughes encourage you to get involved. Together, we can make a difference!